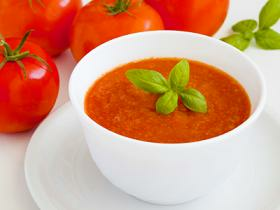 This fresh tomato soup recipe is suitable for any occasion. 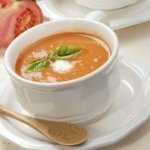 This homemade tomato soup recipe is easy to make, cheaper, much more nutritious and tastier than tomato soup from the tin. 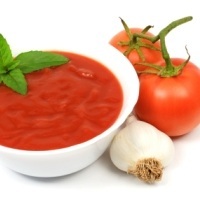 It is best made in the summer when tomatoes are in season and are at their most flavorsome. Recipe Nutritional Profile: Diabetes Appropriate, Healthy Weight, Heart Healthy, High Fiber, Low Calorie, Low Cholesterol, Low Saturated Fat, Low Sodium, Dairy Free, Gluten Free, Vegetarian, Good Source of Vitamin A, Vitamin C, Manganese. 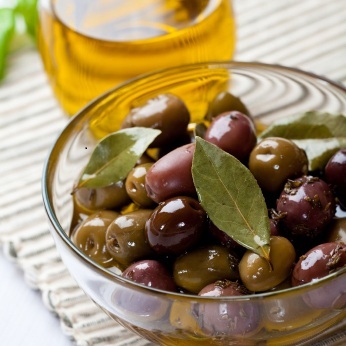 Combine capers, olives, Sun Blush Tomatoes, marinated oil and garlic cloves into a food processor and pulse 3 or 4 times. Stir in black pepper to taste. Put the olive oil, garlic and chilli pepper into a large saucepan and set over a low heat for a few seconds until the garlic begins to sizzle. Add the chopped tomatoes with their star like stalks and turn over for just a few minutes until the tomato juice begins to run. Tip the mixture into a food processor and add the tapenade. Blitz until finely chopped but not completely smooth. Pass through a sieve into a clean pan, squeezing out as much liquid as you can. 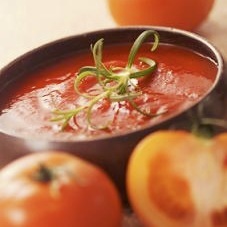 Heat gently until warm but not hot – you want to retain the fresh flavor of the tomatoes. Season the soup to taste, serve it in the warm bowls garnished with chopped basil.